Here’s a new GCP weekly feature: Thoughtful Thursday. Every Thursday we will post a creative writing to inspire you and your boys. 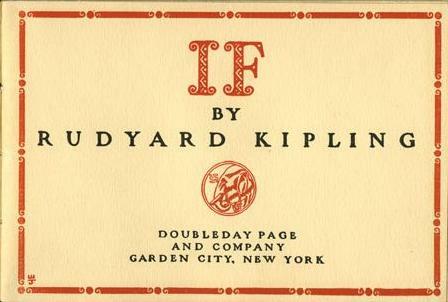 Today’s offering is a classic from Rudyard Kipling: If for Boys. The first line came to mind recently as I wrote to encourage a friend who was a target of unfair criticism. I dug up the poem and read it, and was amazed at all of the good advice it contains. Treat those two “impostors” triumph and disaster just the same? Walk with Kings but keep a common touch? Great stuff.